The purpose of this campaign is to prepare for our next facility so we can further the mission of Reality Church. This preparation includes saving as we all give sacrificially and discerning what our next space will be to help us accomplish what God is calling us to do. As we save money over the next three years, we will immediately begin searching for a meeting space for weekly ministries and offices in the Hempfield Community. This space will be used by our Youth, Prayer Teams, Young Adults, Small Groups, Leadership Trainings, and outreach to the community. We will also begin an extensive search for permanent space for our Sunday church services. When space is found and the funds are available, we will move our church to this new space. This space will allow us to grow, have adequate connection and relational environments, allow us to express creativity in how we do ministry, have fun and safe spaces for our children, and be a space we can call home for Reality Church. How will this building project help us reach our community for Christ? 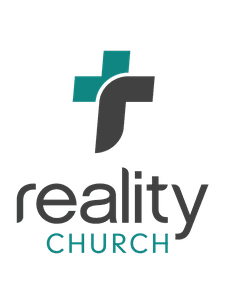 Reality Church is passionate about reaching people in the Hempfield (and surrounding) communities, connecting with people, introducing them to a relationship with Jesus, and making disciples. God has led us to specific buildings and locations over the past 4 years to expand our capacity and ability to achieve our mission. We believe that God is calling Reality Church to plan now for our future facility. The future facility will give us a greater presence in the Hempfield community. We will be able to use the facility throughout the week for many ministry opportunities (like Huddles, Women’s and Men’s events, Youth group, etc.) and have our offices here. Anyone who has ever purchased a house (or even a car) knows the importance of planning and saving, often years in advance for such a purchase. In order for a church to move into a new facility, the people who are engaged and on mission in the church must work together and respond to God’s call. While there will not be any pressure to give or participate in the campaign, we will be talking about God’s purpose and design for the church and for each member of the body to play a part. It is only through all of us hearing and following God’s leading, and the collective contributions of everyone who is a part of Reality Church, that we will be able to pay for our future facility and move forward in achieving the mission to which God has called us. We will be sharing the vision and mission of the church in order to help everyone understand what God has called our church to do and the part that each person can play in this mission. Everyone will have the opportunity to make a commitment to the campaign in November. The duration over which people will give to the campaign will be three years. God calls each of us to participate is his plan of redemption for the world. If you are a part of Reality Church, we encourage you to join in the work that God is doing here. When you make a “commitment” to a campaign like this, you are trusting God to be faithful and committing to give over the three-year length of the campaign. This isn’t a contract, but rather a step of faith and a way to commit to a specific way that you intend to contribute. The leadership team of the church uses the commitments for planning and moving forward with the vision of the church. Learn about the vision and mission of our church, and the current Imagine Tomorrow Campaign. Give Sacrificially as God leads you. The mission of our church will only be fully achieved as we all have faith and sacrifice.